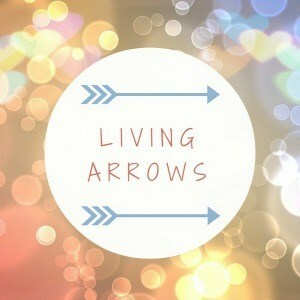 Autistic and Pregnant Autistic Mum Life: Living Arrows | Finger (and face, arms, body and toe) Painting! In my mind this was going to be a lovely Pinterest worthy parenting moment. In reality the photo above shows Iris gagging from the paint she just ate. 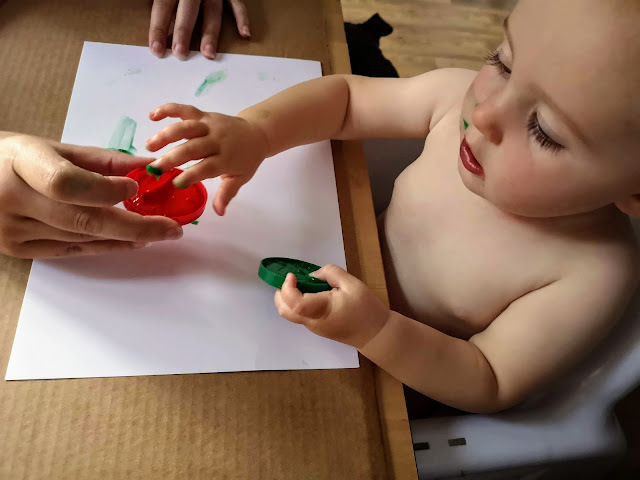 It's made a good photo but ultimately this wasn't the calm, methodical painting session I imagined, partly due to Iris being a little young and partly due to my completely unrealistic expectation! Why did I think my one year old would sit quietly and paint? 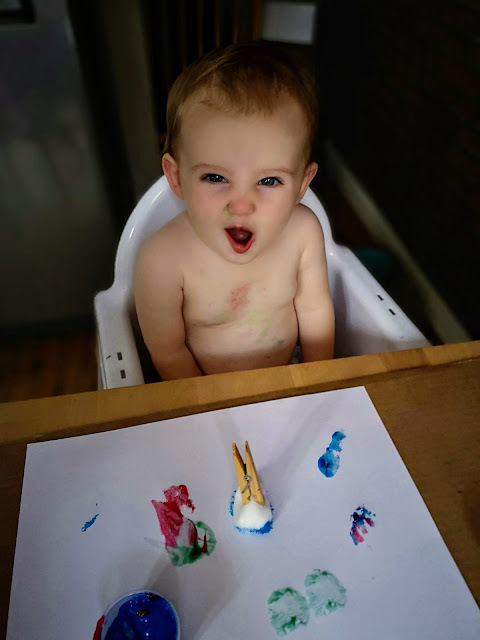 We tried finger painting, paintbrushes and cotton balls on pegs, none were particularly successful but we managed to get enough paint on the paper to make birthday cards and a few pictures for her grandparents so it was worth the carnage! We were clever enough to think about stripping Iris but not clever enough to cover our own clothes. Thankfully it was close to bedtime so it was straight in the bath afterwards! A fun activity to try and it made some very happy grandparents but next time i'll expect a little less and prepare a little more!